The world’s first monitor to feature 34 inches screen, 21:9 aspect ratio and a curved screen will leave you speechless once you’ve seen what it’s all capable of. DELL U3415W also know as DELL UltraSharp U3415W offers stunning WQHD image quality, panoramic view and exceptionally useful features. The thin black bezel along with silvery stand and base make for beautiful aesthetic design and flawless multi-display viewing experience. Continue reading our Dell U3415W review if you want to know more about this stunning monitor. The front of the screen is covered with black matte finish of only 2mm and additional 10mm wide border. The screen of the DELL U3415W is coated with anti-glaring and non-reflecting material, along with its matte finish and IPS panel the image will stay flawless regardless of what angle or distance you’re watching the monitor. The DELL U3415W (Dell UltraSharp U3415W) is made of eco-friendly BFR/PVC-free materials excluding the cables, mercury-free LED, and arsenic-free glass. Despite its massive size, the power consumption is only 46W on average and 0.5W in sleep mode. This 60Hz monitor’s curved screen provides you with extra-comfortable view which covers both your peripheral and primary fields of vision. Meaning that you won’t have to move your eyes as much as you would using a regular monitor as this stunning resolution offers 139% more pixels than the regular HDTV. That is 79% more pixels horizontally and 33% more vertically. This will make your work a lot easier as you’ll be able to have numerous windows open at the same time without losing on space. The DELL U3415W has an IPS panel which means that more light is allowed to pass though the panel which ensures quality picture with accurate colors. Along with its panoramic view it offers the most convenient experience for professional developers and videographers who will get their work done much more easily and smoothly, all while enjoying the process. Additionally, IPS offers excellent viewing angles of 178° vertical and 172° horizontal, so you’ll be able to look at your screen from anywhere without the colors losing their essential touch. The monitor comes with a three-year warranty card, a power cable, mini DisplayPort to DisplayPort cable, HDMI cable, USB3.0 cable, a factory calibration and a cable cover. Additionally, in there is also a CD with User Guide, drivers and Dell Manager Software which can be used to change and edit presets using your keyboards and mouse instead of monitor’s hot keys. Moreover, you can individually assign saved presets to specific applications that you’re using. The UltraWide resolution of the DELL U3415W offers best gaming experience in terms of image quality. If you put another one of these monitors next to each other, there would be minimal picture intertwining as this monitor has thin edges that are ideal for multi-display. For fans of high demanding games with amazing graphics, this monitor will allow you to enter the gaming world on a whole new level as with this ultra wide quality games come to life. On the other hand, competitive FPS players would face a slight disadvantage against players with 1ms gaming monitors as this monitor has a response time of 5ms. Although not game-breaking, you would experience minor ghosting in dark backgrounds and fast moving objects. Given that this is an IPS panel monitor, the response time is as good as it can be. The monitor will have entirely accurate colors and sleek image straight out of the box. Chromaticity chart showed us almost ideal CIE coordinates of red, green and blue colors. Additionally, it successfully reproduced every shade of grey on the gray-scale test proving flawless image quality and accuracy. What do users like about this product? The DELL UltraSharp U3415W provides six USB3.0 ports, HDMI 2.0 connector, mini and regular DisplayPort, MHL, MST and an audio line out. With these ports you’ll be able to connect 2 different PCs to your monitor and simultaneously use them with only one set of keyboard and mouse. 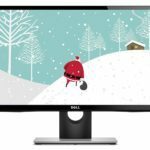 By using one of the DELL U3415W‘s exclusive features Picture-In-Picture or Picture-by-Picture you will be able to easily navigate through multiple different applications and inputs you have running. The DELL U3415W offers a wide range of ergonomics. It can be height adjusted by up to 115mm, titled by 26° and swiveled by 60°. All adjustments can be handled easily and you should be able to find your ideal position in a matter of minutes. Additionally, it is VESA mount compatible if you wish to securely and effectively place your monitor on the wall. By pressing any button on your monitor you can open the settings menu on the screen. The controls are very easy to navigate with and so is the menu. Five touch-sensitive buttons include: Volume control, input selection, main menu, exit and a power on/off button. There’s a nice whitey glow underneath the screen which will start pulsing when the monitor enters standby mode. The speakers offer powerful 18W of quality sound, although with no bass in them. The menu offers user-friendly settings of basic adjustments such as brightness, contrast and gamma. There are even several presets from which you can easily choose the most fitting one depending on your activity on the screen. The presets include: Standard, Multimedia, Movie, Game, Paper, Color Temperature and a Custom mode. In the Custom mode you will be able to further adjust offset and gain levels of specific colors and several more options including Picture-in-Picture, Picture-by-Picture, sharpness, etc. In the Manager Software of the DELL UltraSharp U3415W, you’ll be able to find an exclusive and unique feature called Display Manager. This feature allows you to set custom outlines or grids on your screen, so that you could easily place individual application windows on the specific part of your desktop. Along its ultra wide resolution this makes for amazing utility for designers as not only do you get a lot of space, but the ability to use it wisely as well. There are several preset grids available and you can even create custom outlines and save them, however, there is only one custom slot available. On the monitor, you’ll find a hole though which you can neatly put your cables through, in order to avoid cables tangling. Additionally, this hole can be covered by a detachable plastic cover which will make your desk tidy and organized – as far as the cables are concerned at least! What do users not like about this product? Considering the price of the monitor the Hz rate could’ve been a bit higher, however, this doesn’t affect picture quality essentially. Depending on your graphics card you may overclock the Hz rate up to 75Hz using the settings of your graphics card. When looking at an entirely black background you may notice a slight backlight bleed on your screen. We found a minor yellowish hue on the upper left corner of the screen, but such issue is expected from the IPS monitors. However, the backlight bleed isn’t noticeable in games or movies. As technology hasn’t quite developed yet to the point where a monitor can produce absolutely perfect picture, this minor issue is an acceptable toll to pay as the image offers simply otherworldly color accuracy and detail. There are two modes of response time settings: Normal (8ms) and Fast (5ms) from which you can easily choose the one you need depending on what you’re watching on the screen. The difference between these two settings is invisible to the human eye, however, if you are a competitive FPS game player to whom every millisecond counts you should go for the fast mode, obviously. While the most of elite gamers tend to pick 144Hz gaming monitors with 1ms response time they do miss out on the image quality. This monitor has flawless input lag, which is the time your monitor takes to react on your device commands. Therefore, you won’t be losing on any crucial features but still maintain crisp and crystal-clear picture. This high-end monitor will certainly satisfy and amaze anyone who even glances at it. If offers exceptional image quality which will make gamers experience games like never before, while also giving professional designers and photographers everything they need to do their job efficiently and smoothly whilst enjoying the quality. 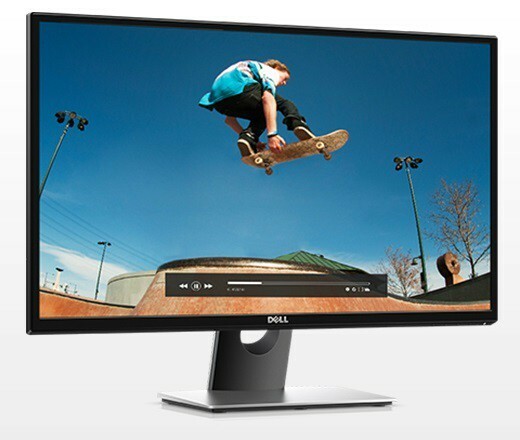 People who seek the best viewing experience possible will find clarity once they gaze upon Dell U3415W. We hope this Dell UltraSharp U3415W review has helped you decide whether or not you should get this amazing UltraWide curved monitor. 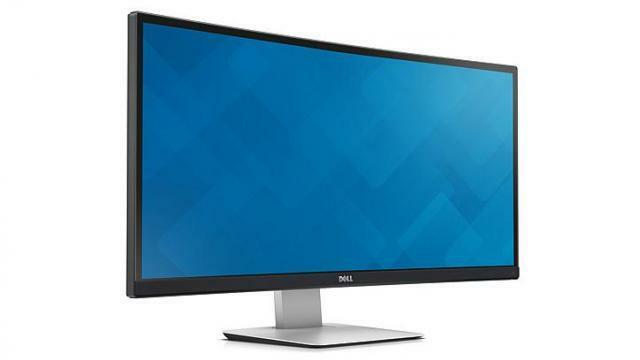 Also note that this monitor can also be found by the name Dell U3417W. If you’re willing to spend a lot on your next new monitor and expect quality like you’ve never seen before, this monitor will not disappoint you. The Dell UltraSharp U3415W is better than its rivaling Samsung and LG monitors of similar statistics. This monitor may be expensive but it’s not overpriced by any means and it’s well worth the money! Please let us know why this Dell is better than LG 34UC88. 34UC88 has less BLB, Freesync, more aggressive 1900R curve, easy OSD management. I’m going to buy an ultrawide and I would like to be sure to make the right choice.